NYC Dog Owners: Raccoons With Distemper in Central Park Could Have Major Public Health Implications! Over the past two weeks, I've witnessed several raccoons out in public in main walkways of Central Park. When I originally called it in to the Park Conservatory at the end of July they let me know that canine distemper has been spreading among raccoons in Central Park. Since then, I have seen people getting close to raccoons, trying to take selfies and even pet them. The reason the raccoons are acting disoriented, zombie-like and even aggressive is because they are infected with Distemper - a deadly virus and should be taken seriously. On the morning of August 9th, a woman and her dog were attacked by a raccoon. Finally, the city is issuing a warning to people keep their dogs on leash in Central Park at all times. This virus has the potential to spread very quickly among New York's K9 population because of the way dogs move around the city - from running freely in Central Park to being walked in packs by walkers, and going to doggie daycare - there could be major public health implications if this is not taken seriously. How is the virus spread? Canine distemper is spread through direct contact or airborne exposure, rather like the common cold in humans. When an infected dog or wild animal coughs, sneezes, or barks, he releases aerosol droplets into the environment, infecting nearby animals and surfaces. An outbreak of distemper in the local wildlife population, such as the one in Central Park, can put dogs at risk for catching the disease by just sniffing an area where an infected raccoon secreted fluids. Also, raccoons with distemper can become aggressive. Distemper affects several body systems, including the gastrointestinal and respiratory tracts and the spinal cord and brain. Common symptoms include high fever, eye inflammation and eye/nose discharge, labored breathing and coughing, vomiting and diarrhea, loss of appetite and lethargy, and hardening of nose and footpads. The viral infection can be accompanied by secondary bacterial infections and can present eventual serious neurological symptoms. If you notice any of these symptoms, contact your Vet immediately. Check your dog's vaccination history. 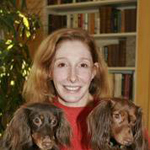 Dr. Gladstein is one of the only Vet's that have a serum that can cure the virus at the respiratory stage. Once the virus is at the neurological stage there is very little that can be done to save the dog. Please consider keeping your dogs leashed in Central Park and keep them on main pathways. A simple blood test can check if your dog needs a distemper vaccine. Please call to schedule an appointment to check if your dog needs a vaccination. Consider giving your dog Heart Guard to protect against roundworms. 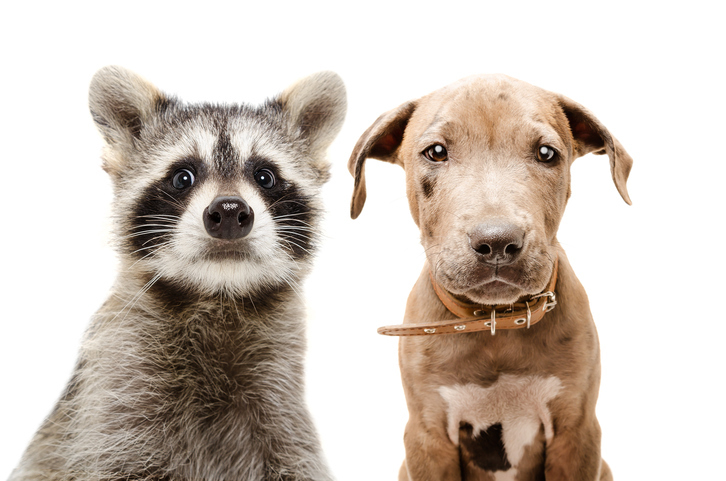 If the raccoons have not been properly dewormed, dogs exposed to raccoon feces will easily contract the worms. If you see a raccoon that is getting close to people or exhibiting neurologic problems call 311 or Urban Park Rangers (212-628-2345) and let them know about the sighting.